PhET Interactive Science Simulations - From Pedagogy in Action, this pedagogic module contains information on how to use PhET, a suite of research-based interactive computer simulations for teaching and learning physics, chemistry, math, and other sciences, effectively in the classroom or lab. The module also features activity sheets using specific PhET applications. Direct Measurement Videos are short, high-quality videos of real events that students can use to explore and apply physics concepts. The videos can be used for labs, homework, assessments, or open-ended problems. Several of the videos are paired with classroom-ready activities that integrate videos into the introductory mechanics curriculum. What sets these videos apart from others is that students can measure distances, time, angles, and other variables right from the videos, allowing for a wide variety of quantitative and theoretical exploration. 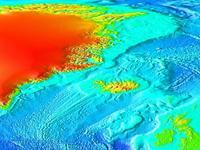 Geophysics - On the Cutting Edge - This series of pages includes classroom activities and visualization collections along with other useful information and resources involving geophysics and plate tectonics. 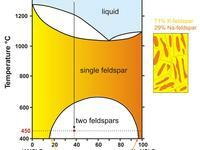 Teaching Mineral Physics - A collection of on-line resources on Teaching Mineral Physics developed as a collaboration between On the Cutting Edge program and COMPRES, the Consortium for Materials Properties Research in Earth Sciences. Physics activities with video demos - This set of activities feature video clips as an instructional tool. Some of the activities involve students measuring frames of video to solve a problem, while other activities include video demonstrations of experiments themselves. 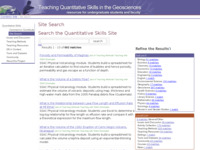 MnSTEP Physics Activities - This collection of K-12 activities stems from the Minnesota Science Teachers Education Project, which was a statewide professional development program for science teachers. This browsable set of over 200 activities are free, grade-appropriate, and are based on MN state teaching standards (though, they are likely applicable to teaching standards for other states as well). MARGINS Mini-lesson Collection - MARGINS is a geophysics-rich project that focuses on understanding processes governing the evolution of continental margins. MARGINS Mini-Lessons are modular learning materials that repurpose the data resources, visualizations, and other information sources developed through MARGINS and MARGINS-related research for use in examining fundamental earth processes in undergraduate classrooms from a multidisciplinary perspective. 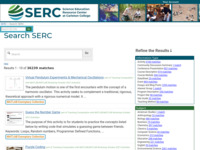 SERC site-wide activities search - This collection of over 300 activities spans across all the SERC sites.